Follow Brother Zachariah and see, against the backdrop of the Shadow Market’s dark dealing and festival, Anna Lightwood’s doomed romance, Matthew Fairchild’s great sin and Tessa Gray plunged into a world war. 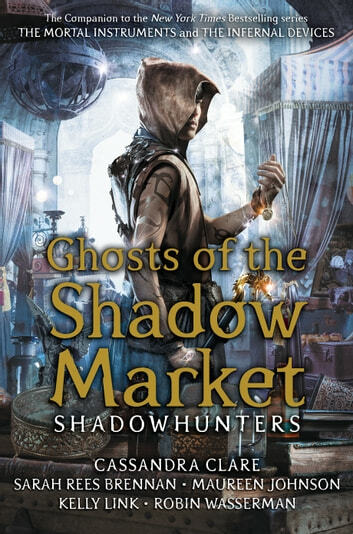 Valentine Morgenstern buys a soul at the Market and a young Jace Wayland’s soul finds safe harbor. In the Market is hidden a lost heir and a beloved ghost, and no-one can save you once you have traded away your heart. Not even Brother Zachariah. The series features characters from Cassandra Clare’s Mortal Instruments, Infernal Devices, Dark Artifices and the upcoming Last Hours series.